The “big game” is fast approaching, and millions of NFL fans rejoice! But football fans, coaches and athletes alike remain concerned about the long-term impact of concussions on players. From youth teams up through the pros, football leagues have rightly tightened regulations about how concussions are handled as we’ve learned more about how dangerous head injuries are to athletes. Concussions and other, similar injuries disrupt synaptic connections and can trigger long-term health effects. While better training and procedures appear to be making a difference already in the NFL (as incidents of concussion decreased each of the last three seasons), RFID technology under development may improve safety even more. 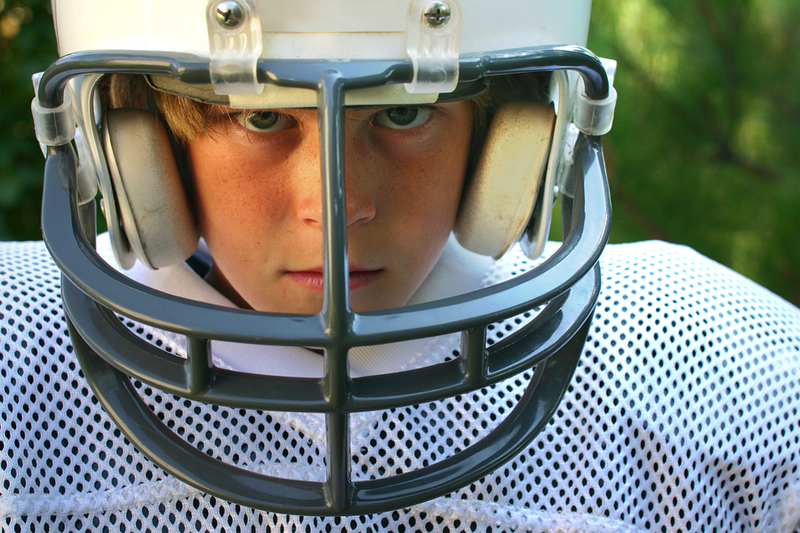 Several companies are embedding helmets and mouth guards with RFID (radio frequency identification) tags to detect impact forces and alert coaches and medical staff of a possible concussion. These RFID tags transfer data onto a server that can be accessed through a smartphone. The idea is to prevent serious head injury and let medical staff act quickly when a player receives a dangerous blow. MIT grads Benjamin Harvatine and Seth Berg have also developed Jolt, a wearable sensor-phone app combination that tracks and logs dangerous head impacts for sports like soccer, lacrosse, and wrestling, whether or not the athlete wears a helmet. In addition to a pair of accelerometers to determine the speed and depth of the hit, Jolt offers brief cognitive tests that athletes can undergo on the sidelines to see whether it merits extended recovery time. After a $60,000 Kickstarter campaign, Jolt sensors are in production now. The NFL has been using RFID technology since 2013 to track players’ movements in the pursuit of better play-calling and more effective game analysis—but the league is still studying RFID technology for concussions. Many colleges are already using RFID for concussions, though, and as the technology becomes more refined, more teams will adopt it, protecting more players. Researchers have already been using RFID to study the protection offered in youth football helmets as well, and we may soon see these measures being used to analyze player movement and safety at all levels of the sport. Keep your eye on the development of this technology; it seems likely we’ll have much more player-specific information in the hands of coaches and parents to make the best decisions about player safety soon, just as many apps are now available for coaches and parents to monitor nearby lightning strikes during outdoor sports, for instance. The rise of RFID technology and the use of connected devices to track player movements and possible injuries is just one more aspect of the connected life that is sure give deeper insights into the human experience.